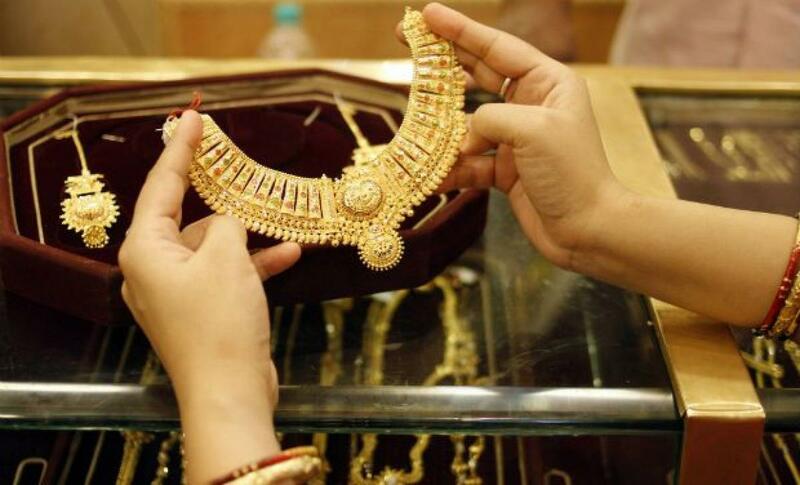 After falling for three straight days, gold prices recovered by Rs 50 to Rs 26,700 per ten grams at the bullion market on August 28, supported by fresh purchases by jewellers to meet seasonal demand amid a firming global trend. Silver also rebounded by Rs 600 to Rs 34,800 per kg on increased off-take by industrial users and coin makers. Traders said emergence of buying by jewellers and retailers, triggered by festive season and a better trend in global market, mainly led to recovery in prices of both the precious metals. Globally, gold rose 0.7 per cent to USD 1,132.55 an ounce and silver climbed 0.5 per cent to USD 14.56 an ounce in Singapore. In the national capital, gold of 99.9 and 99.5 per cent purity were up by Rs 50 each to Rs 26,700 and Rs 26,550 per ten grams, respectively. The precious metals had lost Rs 925 in the previous three sessions. Sovereign, continued to trade steady at Rs 22,500 per piece of eight grams. Tracking gold, silver ready recorded a handsome gain of Rs 600 to Rs 34,800 and weekly-based delivery by Rs 780 to Rs 34,295 per kg. On the other hand, silver coins held steady at Rs 50,000 for buying and Rs 51,000 for selling of 100 pieces.